WASHINGTON – (RealEstateRama) — Markets in 162 of the approximately 340 metro areas nationwide returned to or exceeded their last normal levels of economic and housing activity in the third quarter of 2016, according to the National Association of Home Builders/First American Leading Markets Index (LMI) released today. This represents a year-over-year net gain of 73 markets. Baton Rouge, La., continues to top the list of major metros on the LMI, with a score of 1.68—or 68 percent better than its last normal market level. Other major metros leading the list include Austin, Texas; Honolulu; San Jose, Calif.; and Provo, Utah. 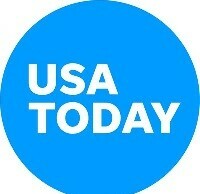 Rounding out the top 10 are Spokane, Wash.; Nashville, Tenn.; Houston; Charleston, S.C.; and Los Angeles. The LMI examines metro areas to identify those that are now approaching and exceeding their previous normal levels of economic and housing activity. Approximately 340 metro areas are scored by taking their average permit, price and employment levels for the past 12 months and dividing each by their annual average over the last period of normal growth. For permits and employment, both the 12-month average and the annual average during the last period of normal growth are also adjusted for the underlying population count. For single-family permits and home prices, 2000-2003 is used as the last normal period, and for employment, 2007 is the base comparison. The three components are then averaged to provide an overall score for each market; a national score is calculated based on national measures of the three metrics. An index value above one indicates that a market has advanced beyond its previous normal level of economic activity. 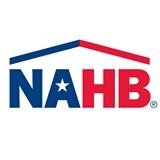 In calculating the LMI, NAHB utilizes employment data from the Bureau of Labor Statistics, house price appreciation data from Freddie Mac and single-family housing permits from the U.S. Census Bureau. In 2015, the Census Bureau revised the manner in which it obtains monthly counts of MSA single-family permits data. To maintain consistency within the LMI, NAHB excluded certain MSAs and improved comparability with previous years for the remaining areas. The LMI is published quarterly on the fourth working day of the month, unless that day falls on a Friday—in which case, it is released on the following Monday. 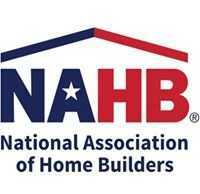 For historical information and charts, please go to nahb.org/lmi.